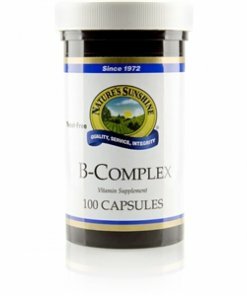 Nature’s Sunshine Vitamin B-Complex provides vitamin B compounds that are not always present in modern diets or are depleted through physical stress or alcohol or caffeine consumption. 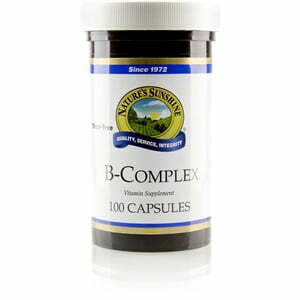 Vitamin B-Complex nourishes both the nervous system and the digestive system, all the while promoting overall good health. B vitamins are most effective when taken together. Cellulose (plant fiber), magnesium stearate (vegetable), silicon dioxide (powdered silica), gelatin, and water. Contains no sugar, starch, or binders for those who are sensitive to such materials.